Alfa Laval 290 filters provide fine filtration with virtually no pressure drop. They are suited to a number of applications, such as filtration of lubricating oil for four-stroke engines and filtration of hydraulic control oil for two-stroke engines. 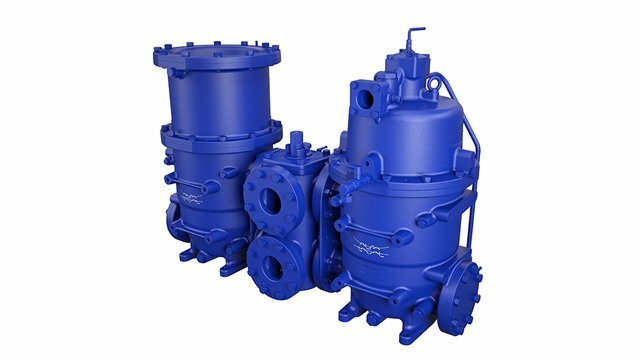 The filters may be available with different sludge removal devices, such as a diversion chamber or Eliminator combination. The Alfa Laval 290 lubricating oil filter for four-stroke engines covers a large range of efficiencies and offers finer filtration than traditional filters. Highly compact and adaptable, it fits easily into today’s stringent four-stroke engine designs. The filter is especially suited to the new generation of four-stroke engines designed to fulfil IMO Tier IV regulations. By providing fine filtration with almost no pressure drop, it ensures a correct and constant feed of oil to the engine. The filter’s design creates multiple installation possibilities. The filter can be installed in a conventional stand-alone set up, but it can also be bolted on or even integrated into the engine for maximum compactness. Thanks to its limited footprint, it can be placed with considerable freedom in the space around the engine. The filter is available in an Eliminator version, which provides backflush treatment in a high-efficiency centrifuge. This treatment, which can be either separate (standard) or integrated (on demand), improves pollution removal and extends the lubricating oil lifetime. The Alfa Laval 290 hydraulic control oil (HCO) filter is a fine-filtration solution for the new generation of two-stroke engines where traditional camshafts have been replaced by hydraulic control systems. Between its high performance and its compact nature, it removes much of the cost and installation complexity associated with hydraulic control system protection. The hydraulic control system core components are dedicated valves fed with oil from the main system flow, which must be very finely filtered with minimal pressure drop. Due to the sensitivity of the large centrifugal main pumps used to move the hydraulic oil, additional pressure drop across the filter would ultimately risk engine damage. The Alfa Laval 290 HCO filter provides filtration at the required level of 6 μm, but flow and pressure across the filter are practically unaffected. This ensures a safe margin for the engine. A further advantage of the ample flow through the Alfa Laval 290 HCO filter is the ability to backflush continuously. Unlike sequential backflushing, continuous backflushing prevents even temporary accumulation of pollutants. This, too, ensures there is no increase in pressure drop. Because the backflushing is treated in a diversion chamber in the filter, it contributes to a compact and easily installed solution. No additional tank or separator is required, nor is any air or electrical connection needed, since backflushing is driven by the hydraulic motor. Extensive filter area is critical for fine filtration, for example at the very fine grade of 6 μm required for hydraulic control oil. Using new Alfa Laval Atrium technology, filters in the Alfa Laval 290 filter range provide a tremendous increase in filtering surface – with virtually no impact on pressure drop. This is possible through the special patented shape of the Atrium filter elements, as well as their smaller and highly optimized flow distribution system. Atrium technology creates the market’s best ratio between the available filtering surface and the total footprint/volume of the filter. Atrium technology can be found today in lubricating oil filters for four-stroke engines and hydraulic control oil filters for two-stroke engines, but it has potential in multiple filter applications as the Alfa Laval 290 filter range expands. Błąd serwera, prosimy spróbować później.